Different styles of Indian earrings every girl should own! 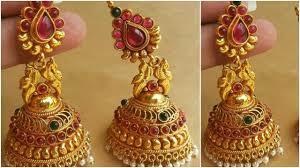 Home Article Different styles of Indian earrings every girl should own! The evergreen jhumkas or jhumkis has never failed to disappoint or impress us. They go very well well with any kind of ethnic outfit. 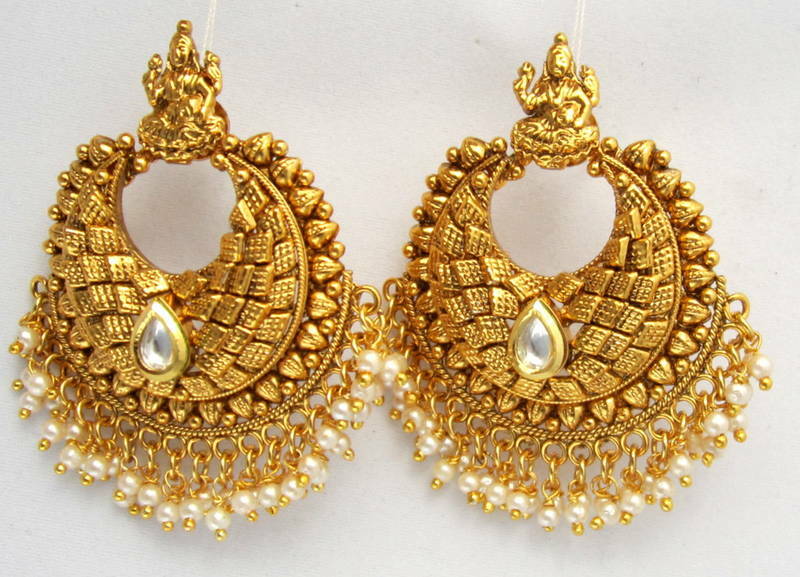 You can oomph up your look with various designs of gold Jhumkas. 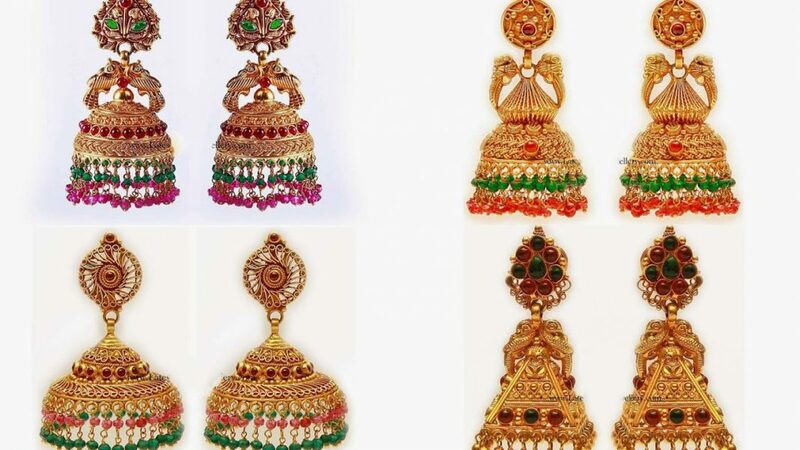 Latkan earrings come in an endless style which will blend with your look such as golden multicolored drops, gold engraved jhumkis, gold pearl drop jhumkis and much more. You can wear these earrings without a second thought and kill the event. 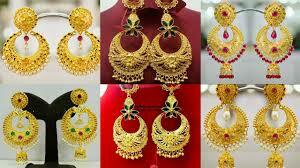 You can find gold earrings designs for daily use with price on any trusted website. Danglers are the earrings that have a centerpiece that hangs below. If you are planning to for an open hairdo then you can wear these earrings. It will look gorgeous on you and blend completely with anarkalis and suits. You can dazzle your look with gold drop dangles for any event. These earrings are broad towards the top and the bottom. It also contains small stud that looks like a chandelier. It is a perfect set of earrings which can go well with any simple outfit. Do you want to give yourself the look of Deepika Padukone from Ram Leela? 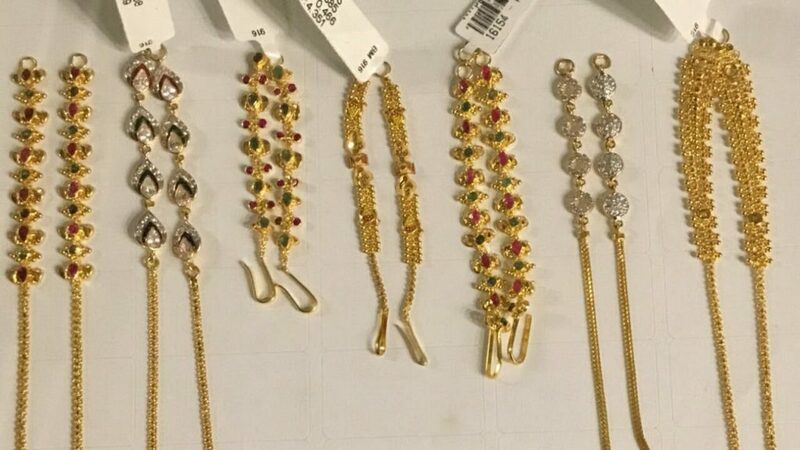 Then add these Chand Balis to your jewelry collection. Various shapes and designs are available, but what makes it different from other earrings are the crescent and the semicircular edge. Balis with white stone gives out a look like Mumtaz chand bali. We recommend you to buy gold with pearl chand bali to add it to your collection. Do not forget ethnic hoops! These earrings can look good in any outfit you want to wear. These earrings are elegant, simple and classic which will never go out if style. 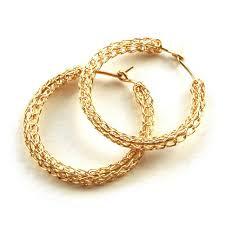 You can buy from Jhumka Gold Hoops to gold pears hoops, or from plain hoops to detailed hoops from the jewelry store. 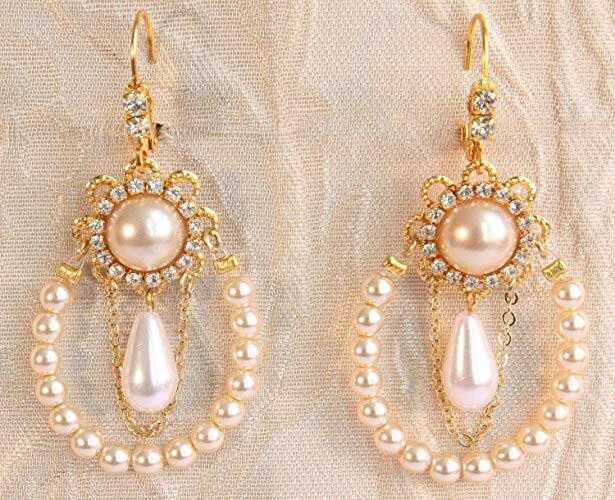 It will add a charm to your look and we recommend you to purchase Golden cluster pearl hoops. If you want to add a royal touch to your outfit then Kaan chains are the best. Kaan chains have been popular since Aishwarya Rai flaunted her Bengali look in Devdas movie. These long chains are pinned or hooked from the earrings to the hairs. It is recommended for you if you are doing an updo or any loose hairstyle. You can wear these earrings on a saree during the wedding. 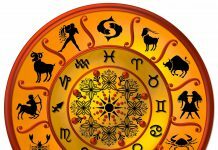 Previous articleHow to choose your gynecologist?